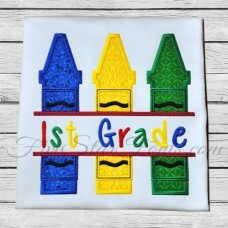 Perfect for back to school stitching, our Split 3 Color Crayons applique is sure to be a hit. It's simply sweet and FAST too, just 3 pieces of fabric. An example of what you can do with the split designs is shown above. 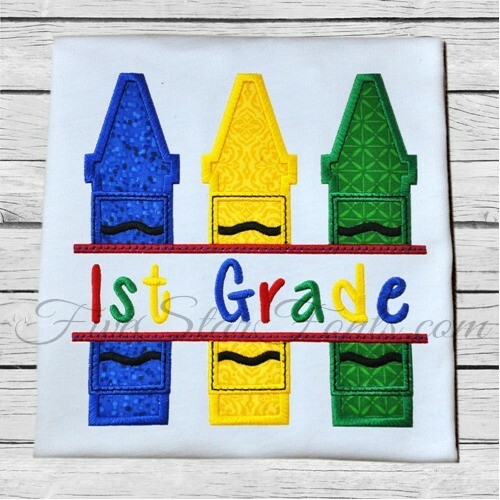 Use software to merge your child's grade or name. So cute. We used our Peanut Butter font for the 1st Grade sample above. 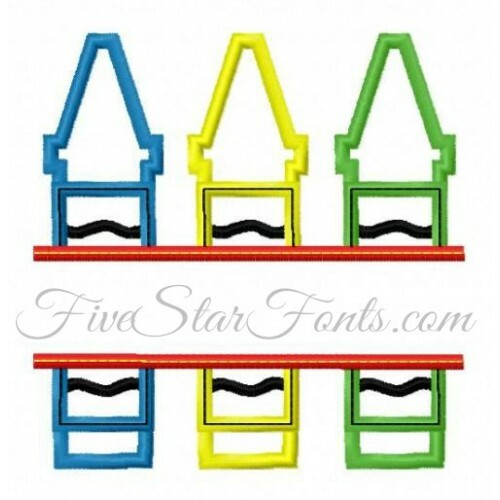 It is not included however you can find the link to this cute font in 'Related Products' Tab above. It's a perfect Unisex font!